There, in the presence of the Lord your God, you and your families shall eat and shall rejoice in everything you have put your hand to, because the Lord your God has blessed you (Deuteronomy 12:7, NIV). You work hard. Whether you are the breadwinner and go to a job every day or the one who keeps the home fires burning, you are fully occupied in providing for your family. You contribute finances, whether by earning them or saving them. You labor physically, whether by sitting at a desk plugging away or carrying laundry up and down the stairs. You are continually improving your investments, whether you are putting money into an account that grows or improving your house and yard. All work is good, and it should bring a great deal of satisfaction as you care for your home and family. But there needs to be a time for rewards. Family celebrations are one of the rewards of faithful services. More than trophies that only collect dust, more than monetary rewards that are soon spent, family celebrations are rewards that will be remembered for a lifetime. So celebrate. Celebrate everything -- birthdays, special occasions, anniversaries, beginnings and endings. Enjoy life, enjoy your family, and enjoy the fruits of your labor. Family celebrations are one more time to teach your kids your values and help them understand they are part of a larger plan. Your children are pieces of a family that has a great history and far-reaching possibilities for the future. Teach your kids that they are an important link in the chain of life and of your family. They are the hope for the future of your family. Make family celebrations your very own. Don't be sucked into doing it the way others in your family have done it or the way some television personality says you should celebrate. When a couple marries, the two individuals will bring traditions from their families. Make those traditions the starting point for building your own family unit. Included in building your own traditions is permission not to spend every holiday at someone else's house. Your kids need to spend time with you in your own home. So stay home with your children and enjoy them. They will be gone before you know it. A little more than three hundred years ago, our forefathers stood on the shores of a new land and gave thanks to God for keeping them through the previous year. Consider all that has happened in the three hundred years since then. Today our land is teeming with people, industry, health facilities, automobiles, homes and thousands of wonderful things. We have much to thank God for. We should value God's good gifts to us in America. We should teach our children to value them as well. Thanksgiving is a time to do that. Here are a few celebration ideas. • Review the story of the Pilgrims by reading a storybook from the library. Although An American Tail is a fantasy and not about people, it may help your children understand what it was like for immigrants to come to this country from poverty, oppression and fear. Talk about it and lead your children in giving thanks for this great land. • Invite a great-grandparent or a friend who immigrated to the United States to share his or her story with your family. Each person you talk to will have a unique view on what the experience was like. • Many churches and civic organizations have programs in which volunteers cook and serve dinner to the needy. What a great learning experience it would be for your whole family to be a part of serving the hungry together. Your children will see firsthand that you value people and generosity. • Invite those who have no place to go for Thanksgiving. Every person who sits at your table brings a new insight about life. • Whatever you do, make giving thanks a part of your celebration. If your church has a Thanksgiving Day service, attend it with your children. Talk afterward about how to give thanks to God. 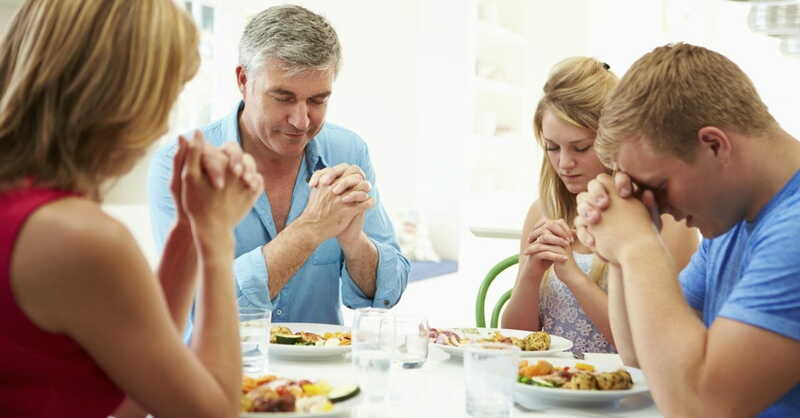 Pray together and, by your example, teach your children to offer prayers of thanksgiving to God. 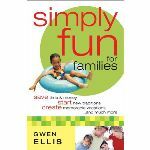 Adapted from Simply Fun for Families by Gwen Ellis. Used by permission of Fleming H. Revell, a division of Baker Publishing Group, copyright © 2005. All rights to this material are reserved. Materials are not to be distributed to other web locations for retrieval, published in other media, or mirrored at other sites without written permission from Baker Publishing Group. www.BakerPublishingGroup.com. Gwen Ellis lives in California, where after retiring she started her own business, Seaside Creative Services. Gwen writes, speaks and consults with publishing companies. Learn more at www.seasidecreativeservices.com. Visit Crosswalk's Thanksgiving Facebook page at www.facebook.com/iAmThankful.